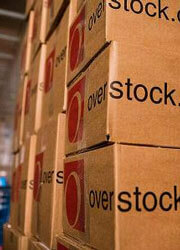 Overstock.com is a massive and popular, online furniture, home improvement, and interior and exterior decoration retailer that was set up back in 1997. The store has a wide variety of items for sale and, like Ikea, you could almost get lost wandering among its virtual departments to find that one item you really want. But what we truly like the most is the fact that the store is completely online and that free shipping is available if you spent over a certain amount. by Aethyna Mar 13, 2019 If you want to buy a variety of furniture, home improvement, home decor, and other departmental items from the comfort of your home, Overstock.com is the website to visit! Read More Be the First to Post a Review!